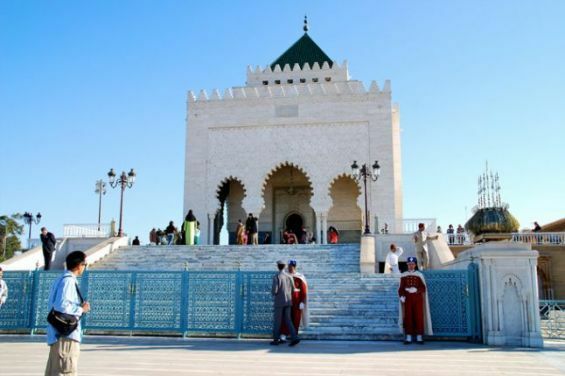 Morocco is ranked seventh by the Global Muslim Travel Index, an annual report that rates and monitors the overall performance of the Muslim travel market. According to the 2019 edition of the index, the Kingdom is one of the top ten countries that attract Muslim tourists. The North African Kingdom scored 67 points in the index, improving its performance climbing the scale as a destination for Halal travel. Conducted by American multinational financial services corporation Mastercard and halal-friendly travel company CrescentRating, the index ranks 130 destinations on how Muslim friendly they are for Muslim travelers. These criteria include ease of access to the destination, internal and external communication, environment and the services provided by the destination. In North Africa, Morocco was ranked first, ahead of Egypt which is in the 14th place, Tunisia ranked 16th and Algerian, positioned 19th. Malaysia topped the list, followed by Indonesia in the second place, followed by Turkey 3rd, Saudi Arabia 4th, the United Arab Emirates 5th and Qatar 6th. The number of Muslim travelers reached 140 million in 2018, with passenger arrivals expected to increase to 168 million by 2020 and 230 million by 2026. Muslim tourists are expected to spend $180 billion by 2026 to buy tickets online. «These top ten destinations account for 22% of the Muslim inbound travel. Iran, Uzbekistan and Indonesia have entered the top ten OIC inbound markets. These ten destinations account for 36% of the total Muslim inbound market. The twenty destinations in total account for 58% of the Muslim visitors», the authors of the report said. According to research by Mastercard and CrescentRating, more than 230 million Muslim tourists are expected to embark on travel, locally and abroad by 2026, said the Safdar Khan Division President, Indonesia, Malaysia & Brunei, Mastercard. «By that time, Muslim travelers are expected to inject $300 billion into the global economy», he added. Since 2014, Mastercard and CrescentRating published 14 reports, covering several aspects related to the Muslim Travel Market. Global Muslim Travel Index is one of these reports that is considered now as «the premier source of reference for the industry», the authors of the report said.